First Thing First In Card Making. Let's begin our card making experience by making a basic blank card. Whatever you want to make, whether a bigger than normal card, a notecard, or just a simple standard card, the process is still the same. 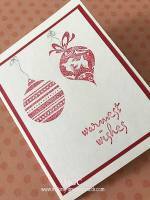 A blank card is the piece of card surface that you will draw, stamp, paint or embellish on. It should be sturdy enough to take the weight of your artwork. Usually I like to work on 200gsm -250gsm art-cards. P.S. Artcards are white cardstock. The colourful ones are usually referred to as Fancy Paper or Cardstock. 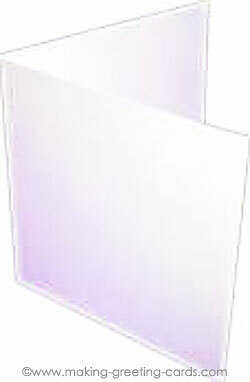 If you purchased ready cut paper from the craft stores, they usually come in A4 sizes (210mm x 297mm). You can just fold it in half and that's your blank card. 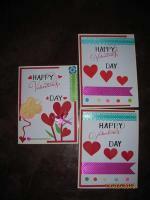 Or you can cut it into two halves and fold them and you have two smaller cards. Please note that paper has grain. Take a piece of paper and try lightly bending it in each direction. You will notice that it bends easily in one direction. That is the direction you need to fold your card - parallel to the grain and not against the grain of the paper. If you fold against the grain with bulky paper, you will meet resistance and the fold will be rather ugly and messy. Some paper might break and you will notice some strands of fibre sticking out. But with the paper weight that we are using and the size of the basic card, this is not much of a problem whether along the grain or against the grain. 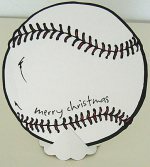 As long as the handmade card can stand up without becoming buckled under the weight of your artwork, it should be fine. 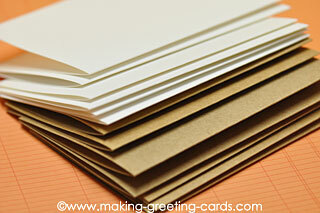 Make a batch of these blank cards at one time and keep them at hand which is what I normally do. And when you have an idea or when inspiration strikes, you can start to create your masterpiece immediately. Measure where you want to fold your card, i.e. 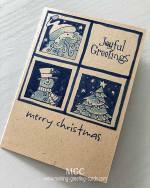 the middle of the card, so just mark the two points on each end lightly with a pencil. Using your bone folder, firmly score a line along the pencil marks. Fold along the scored line and you will get a crisp clean fold. Remember to erase the pencil marks. Keep your basic blank cards in one specific place so you know where to find them when you need them:~D.